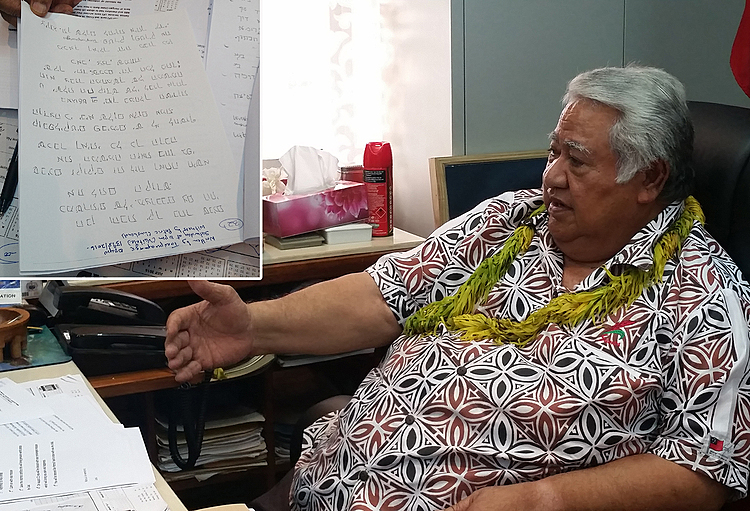 Prime Minister Tuilaepa Sailele Malielegaoi believes the writing in Ancient Hebrew by a young woman who claims to bear the marks of Jesus Christ’s suffering, is genuine. The Hebrew writing from Toaipuapuaga Opapo was done a month ago at her home in Vaitele, witnessed by a crowd. Ms. Opapo does not understand Ancient Hebrew, but claims it is a message from God. The Prime Minister told the media on Thursday that he had verified the writings with the Jewish High Commission in New Zealand. Rev. Opapo Oeti, who is the father of Toa had sought his help by using his contacts to verify the Hebrew writings on several occasions. “I informed Samoa’s High Commission in Wellington to contact the Jewish Ambassador about the writing,” said Tuilaepa. Tuilaepa said the translation reads “that on the 21st August you will be given a message”. 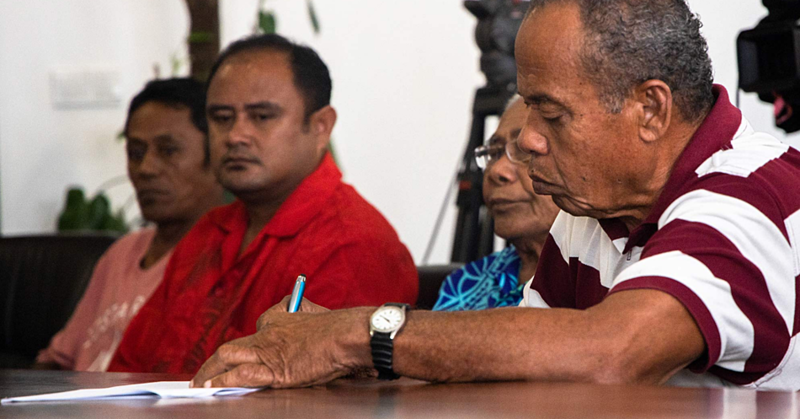 “I have chosen you on the mission of peace because of the division amongst (people) and the differences in (their) views and you are the messenger of peace,” Tuilaepa said about the translation. According to Tuilaepa, two weeks ago another event occurred where Ms. Opapo was praying and the statue of Jesus was seen with blood and water coming from it. He said if any event like this happens to a country, it means Samoa is blessed through Ms. Opapo. 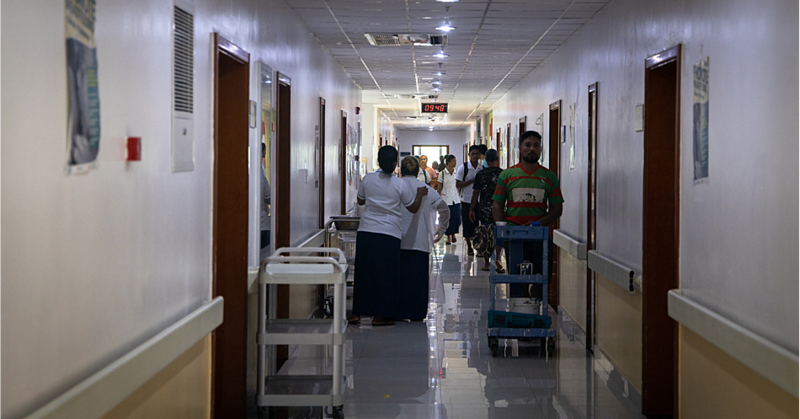 There is no doubt a lot of people do not believe in the claims from Ms. Opapo and Tuilaepa is aware of it. He also made reference to the Apostle Paul and pointed out that in the bible he too had borne the suffering of Jesus Christ. Furthermore, he said there is also the belief from others that even Satan can also do things like this. 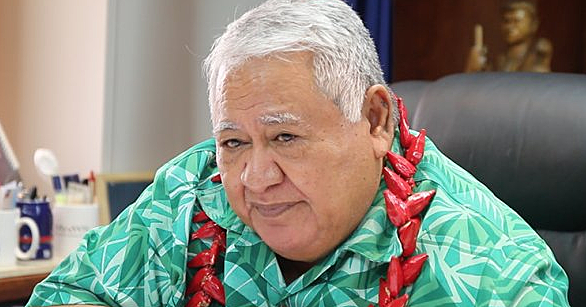 Tuilaepa said he is reminded of the Galatians scripture whenever he hears about people who do not believe and the miracles done by Jesus when he raised Lazarus from the dead.